You may have noticed that the flavor of the season is pumpkin spice. From Pumpkin Spice Frappuccino’s to beer, there’s something for everyone. Food companies have gone gaga over the flavor. This year’s selection ranges from crazy strange to downright delicious. With an enormous amount of products on the market, most made with artificial sweeteners and flavors, how do you choose the healthiest and at the same time most delicious? 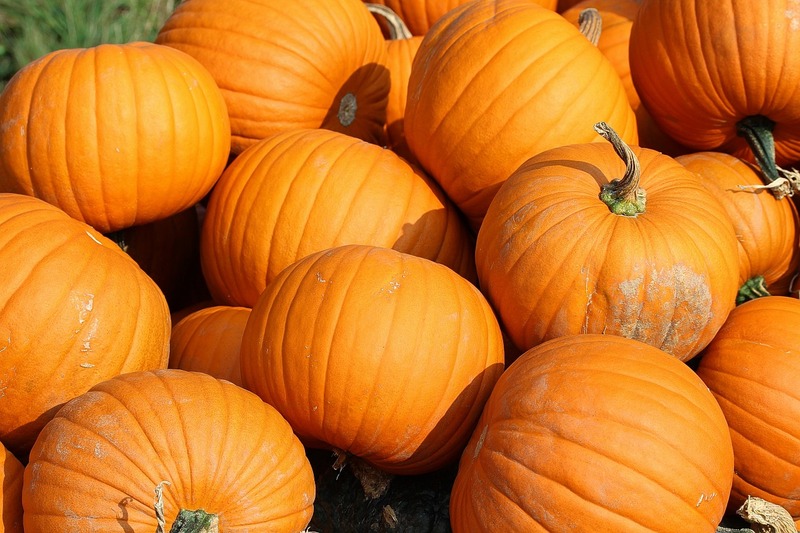 To be honest, there are not many organic products with the taste of pumpkin on the market. That means you aren’t actually reaping the health benefits that pumpkin has to offer, and are instead ingesting lots of fat, chemical compounds, and processed sugar. Starbucks has come under a lot of pressure in the media for its pumpkin spiced ingredient choices. Until recently, their products contained 0 percent pumpkin, but the taste is the perfect pumpkin. It’s important to note that the company did take steps to clean up its ingredients list – it now contains real pumpkin puree and uses vegetable and fruit juice for color. However, this does not mean that their products are now healthy. For instance, a 16-ounce pumpkin spice latte made from 2 percent milk and topped with whipped cream from Starbucks contains 50 grams of sugar. That is insane! The situation is further aggravated by the fact that even organic products are packed with calories. So how do we actually choose those products that provide the nutritional benefits of pumpkin but not the chemicals or calories? Simple: ALWAYS READ THE LABELS! This does not only apply to pumpkin flavor products. Always do it. Look for the nutritional values on the labels of the products you consume. This fall, we did it for you. We bring you a list of products that will fill your house with the smell and taste of fall, and at the same time will not damage your health and your weight loss efforts. Dry roasted organic pumpkin seeds lightly coated with a bit of organic soy sauce mixed with organic garlic powder and a healthy (and addictive) kick of organic cayenne pepper. They are low in sodium and rich in healthy fiber (5g), protein (10g), and magnesium with a good source of iron and zinc. These seeds contain no irradiated spices, refined salt, added oil, additives or preservatives. Great for parties, camping, backpacking, or a nutritious snack any time. Closable, standing pouch. Gluten free. These taste exactly like pumpkin spice, delicious and also nutritious! With fiber and protein, Kashi Pumpkin Spice Flax Crunchy Granola Bars are as nourishing as they are tasty. Baked with whole flaxseeds, roasted pumpkin seeds, and a blend of spices, these granola bars have 4g of fiber, 4g of protein and 300mg of Omega-3 fatty acids for just 170 calories. If you like pumpkin spice and can’t wait until the fall to get your pumpkin kick, pick some of these up, they are available year round! The Post Road Pumpkin Ale is one of two autumn seasonal beers that Brooklyn Brewery offers. This 5% ale contains about 150 calories—the same as a run-of-the-mill Budweiser. The balance achieved between the traditional pumpkin pie spices, sweet malts, and pumpkin undertones, give this beer great complexity without a lot of weight. With its full pumpkin spice flavor, you’ll feel satisfied after just one, making it a waist-friendly sip. This fall ale will fit holiday dinners;, roasted ham and turkey, root vegetables, macaroni and cheese, mascarpone, and Thanksgiving dinner. This soup is to die for! This recipe is everything you could want in a butternut squash soup. Panera’s seasonal starter weighs in at reasonable 110 calories and 6 g of fat (3.5 saturated) for a half cup. It also contains 390 mg of sodium—nearly 50% less than its competitors are offering. This one uses wholesome ingredients like pumpkin, butternut squash and pumpkin–honey, half-and-half and apple juice. Panera Bread Autumn Squash Soup also uses vegetable broth and extra virgin coconut oil along with being garnished with fresh pumpkin seeds. It is an explosion of flavors that can’t be beat! Thomas Pumpkin Spice Bagels are everything you want in a pumpkin-spiced bagel. Made with real pumpkin, spices and cinnamon, you’ll love the comforting aroma of toasting pumpkin bagels in your kitchen. The scent will waft through your kitchen in a delightful, gimme-more way. At 260 calories and 1.5 g of fat apiece, Thomas’ Pumpkin Spice Bagels aren’t bad as an occasional indulgence. Unlike other bagels that are generally speaking low in fiber, vitamins, and minerals, and rank high on the glycemic index, these bagels even provide 9 g of belly-filling protein per serving. The sweet, creamy flavors of cinnamon and nutmeg make Pumpkin Spice just right for fall’s crisp days and cool nights. Contrary to similar products, where sugary syrup supplies the pumpkin flavor, Green Mountain adds pumpkin spices to the beans before the coffee is brewed. That means you can enjoy the health benefits of coffee with a pumpkin spice twist for just 2 calories per serving. If you add 2 teaspoons of sugar and a tablespoon of cream this will bring the calorie total up to 54. The Greek yogurt thing is still a thing, then add the ever-growing pumpkin spice trend, and you end up with Chobani’s pumpkin spice yogurt. In addition to the incredible taste that will delight you, the nutritional properties of this yogurt are excellent. Packed with 160 calories per serving, 10 grams of protein and 3 grams of fiber, your gut flora will stay healthy and balanced after taking this pumpkin-flavored probiotic-reach treat. If you’re into starting your day with the taste of fall, you’ll want to pick these up and give them a try. What’s more, the box also touts how the cereal has “no high-fructose corn syrup,” an unhealthy sugar that’s common in breakfast cereals. They’re boldly flavored thanks to pumpkin puree, cinnamon, and cloves, and they’re not overly sweet. Its fall in a box that contains no artificial flavors and no colors from artificial sources and is gluten-free. With 17 grams of whole grain per serving, and only 110 calories, you’ll really enjoy them and at the same time help maintain your weight loss goals. For a nutritious start to a crisp autumn day, try this Cinnamon Pumpkin Seed Super food Oatmeal from the health experts at Nature’s Path. This oatmeal is made with gluten free rolled oats, chia, hemp and buckwheat to boost your nutrition, keep you feeling full longer and provide long lasting energy throughout your busy day. Full of high quality plant-based protein, fiber, and omega-3s, pumpkin seeds are the perfect crunchy complement to Qi’a’s super food blend. Mmmm it’s like fall in your mouth. Made with organic wheat flour, these wholesome pumpkin spice cookies from Alternative Baking Company are certified vegan and totally delicious. The texture of these cookies is soft and chewy, just like homemade. However, like all cookies, these contain a considerable amount of calories at 220 per serving. Holiday season is coming, as with all things, moderation is the key.